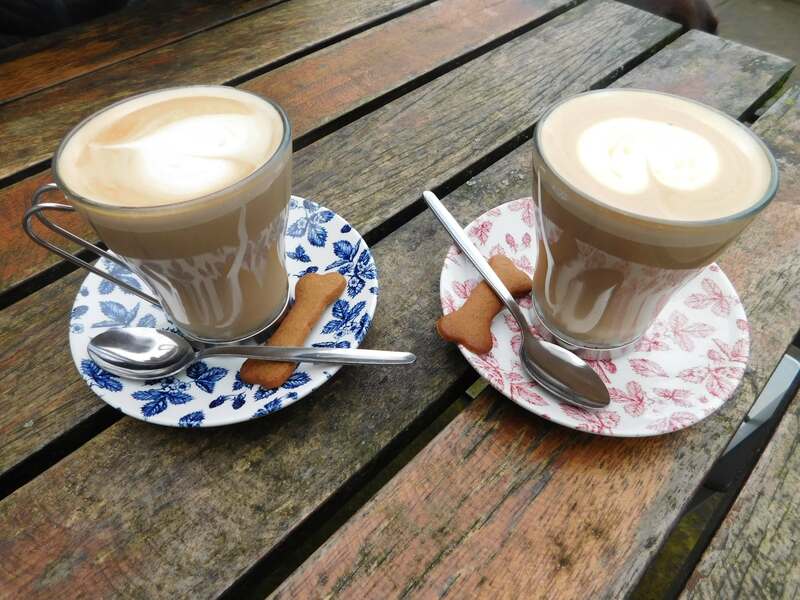 While I’m on holiday in (hopefully) sunny Tenerife, I’m treating you to a guest post from the lovely Loren at Life at Loren’s. 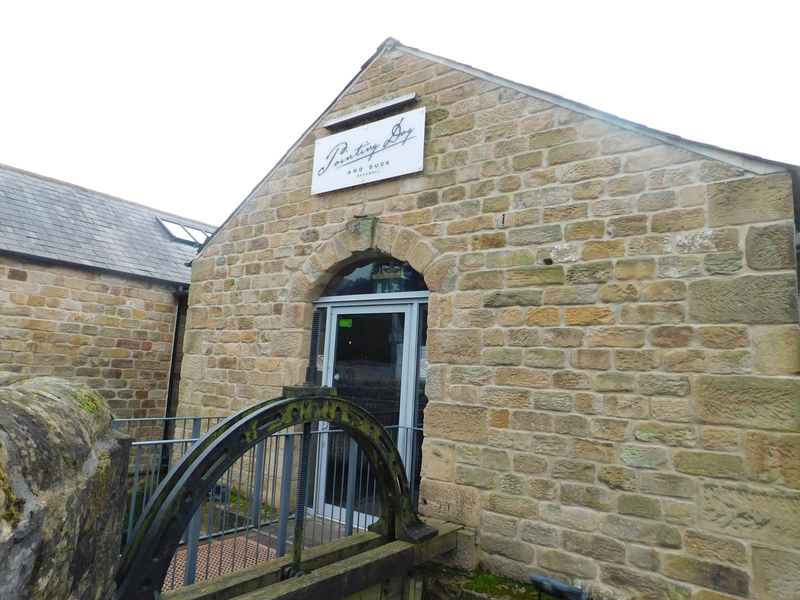 Here she talks about a day out in the beautiful Peak District in Derbyshire – I may be slightly biased as this post even features my home town! The Peak District is roughly a 40 minute drive away from where we live and although we don’t exactly live in the hustle and bustle of the city it’s a great way to get away from work and see the green hills, go for a walk and relax. We probably end up in some part of Derbyshire at least once a month and I don’t know where I’d be without being able to head to the countryside and visit the local towns (a little less sane probably). This time we took our chocolate Labrador so some shops and cafes were off limits but we did find a couple of places that were fantastic. We started the day having breakfast at the Insomnia café in Calver and sat outside with the pup who funnily enough became very well behaved when she noticed we had food. After a lovely breakfast we then jumped back into the car to head to Bakewell. This is one of our favourite towns to visit and we head there regularly but not with our dog so we weren’t sure where to go first. 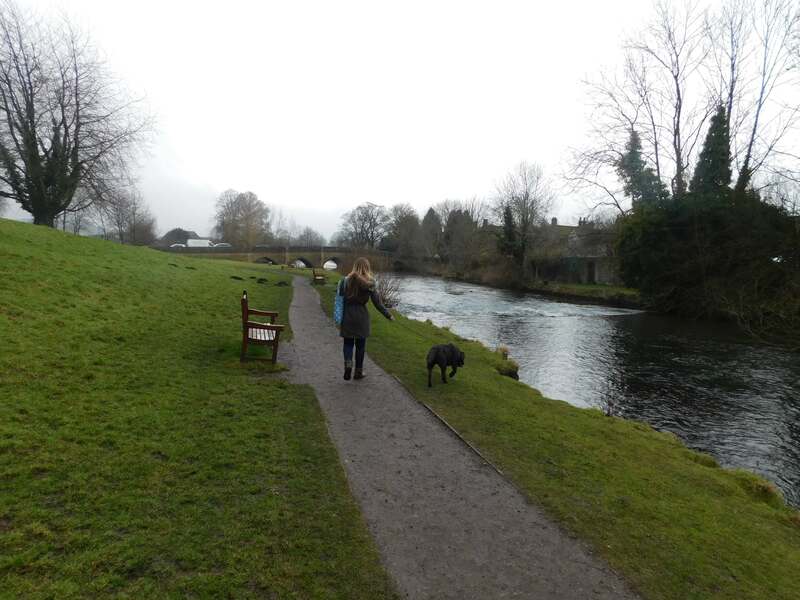 We chose to take a walk around the river which was a great change and although we drive past it every time we leave Bakewell we had never actually been in the park area until now. After a stroll around town we stopped to have a coffee. We found a restaurant that we hadn’t even seen before named the Pointing Dog and Duck. Seating ourselves outside I went in to order two lattes and asked if they had anything to hold water for the thirsty pup. They handed over a tub which was fantastic as I had not expected anything if it wasn’t already outside. Our drinks were brought out to us on the cutest saucers with a bone shaped biscuit each which I think was a great personal touch. Jumping back into the car we went to visit Matlock. Driving through the countryside is one of my absolute favourite things to do and the sights and old stone homes you see on the way is nothing short of beautiful which confirms I would never be a city girl. Matlock was slightly busier than Bakewell and there was a shop that I couldn’t wait to visit. The Bow Boutique has been open a while now but has changed a lot since our last trip. 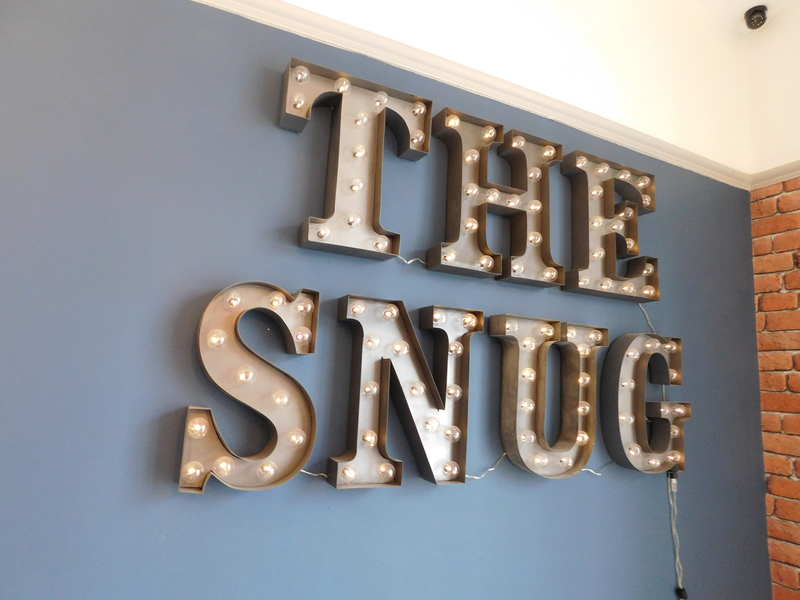 They now have a café upstairs cosily named The Snug which had some gorgeous looking cakes on display. We couldn’t stay for a coffee and cake as we had little Mia with us but next time we will definitely go back to taste those cakes. Downstairs they also sell the most adorable items. Delicate jewellery, cute cards and gifts for everyone can be found and I shall be going back to purchase something for my bridesmaids later in the year. After a walk through the park we stumbled upon another shop that I had never been aware of before. When I say this I worked in Matlock Bath, just up the road, for a year but rarely took the time to walk around. 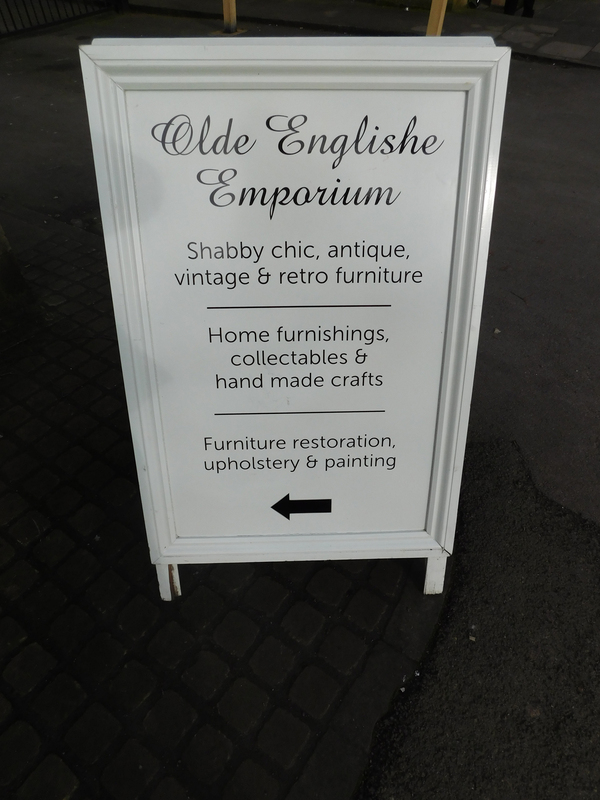 This was the Olde Englishe Emporium, a vintage, shabby chic store selling all sorts that I would love to put in my home. A great thing about this store, apart from its great furniture and decorative pieces, was that dogs were allowed. One of my favourite signs! Others include ‘Sale’ and ‘Coffee’. It was another great day in Derbyshire and I already can’t wait to go back. In the rain or shine there is always something to do or somewhere to go and I urge anyone who hasn’t experienced it to go take a walk or visit a village or town.